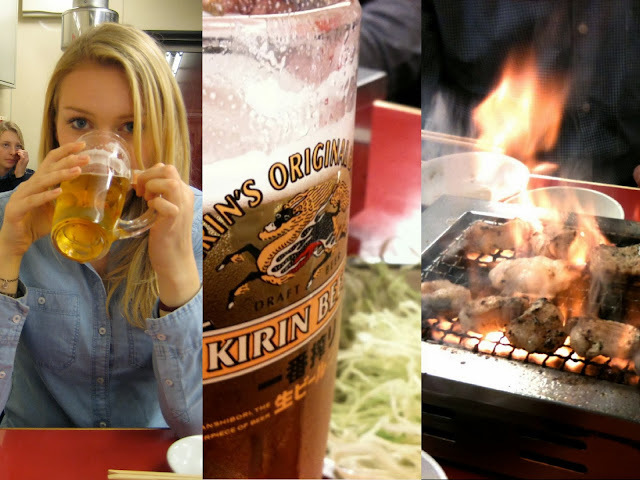 During our stay in Kyoto, Japan, we weren't sure one night where we should eat. While walking down our street, which was full of hidden restaurants, we found Aje. As it was still early, we decided to explore some shops first. Not the best decision, as by the time we came back to the restaurant, there was a 1 hour waiting list. That meant two things 1) we were going to get VERY hungry and 2) the food was going to be good. The restaurant is not very big, and has one long bar where you can sit and some tables, each with 4 places and a grill. I kind of like the idea of making your own food, we don't get to do that very often at restaurants in Europe. 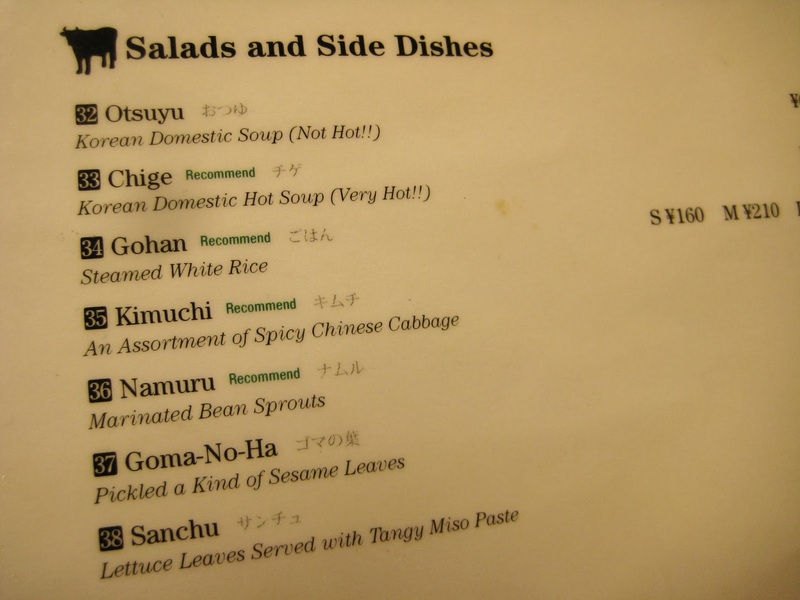 As it;s a Korean BBQ restaurant, the menu consisted of meat, meat and meat.. and some side dishes (like Kimchi). Even though the menu was in English, we honestly weren't too sure what exactly we were ordering, but we kind of guessed. Most of the items on the menu were cow meat, but there were some other options. This simple cabbage salad with spicy-lemon dressing was delicious. I love cabbage (I think this is pointed cabbage), especially when it's finely shredded. We thought it was appropriate to have some beers with our BBQ. Kirin is one of the most popular beers in Japan and I really like it. Then, one by one, our little plates with marinated meat arrived. We only chose meat marinated in hot sauce, which wasn't hot at all but really tasty. I want this marinade! I think this was the cow's the best hanging tender. My favourite was the cow's the best chuck roll (at least that's what I think it was). 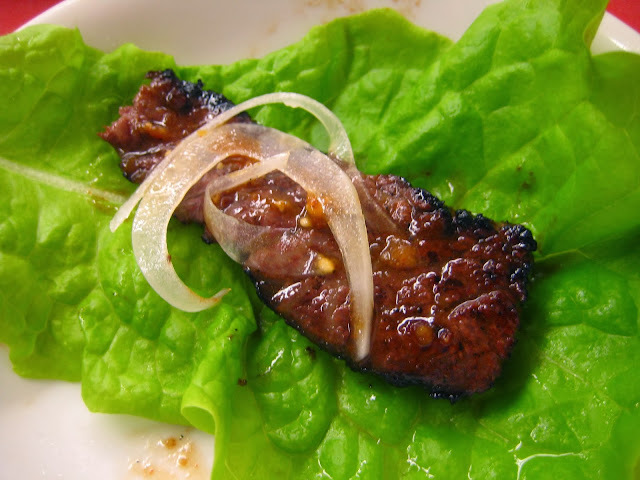 Super thing strips of meat, almost like bacon, marinated in that delicious marinade. We also tried something more 'crazy' from the menu: cow's intestines. We saw a lot of people eating it so we ordered it too. It looked really cool with all the flames, but it definitely wasn't my thing. Chewy, fatty meat. 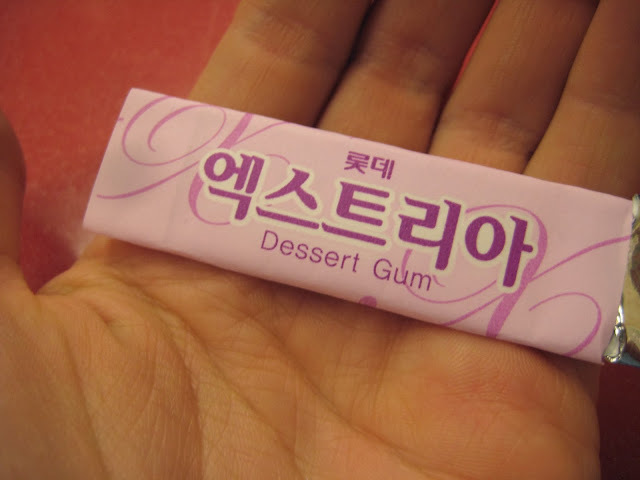 We received a 'dessert gum' after our meals, how cute? Aje is a really relaxed place to eat when you're in Kyoto. The crowd is young, the food is great and there's a cool atmosphere. I would definitely like to go back!